ITS BACK – Limited Stock!! With an unusual combination of black and roasted malts, a rich creamy head of deep mocha rises from the abyss, producing a rich, malty flavour and aroma, balanced by an elusive hop character and fruity esters. Something dark lurks in the river in front of Wilkadene Station. No one can quite agree on the cause of the peculiar happenings in the night at Wilkadene, but one thing is for sure, it can leave you a bit shaken the next morning, unable to speak of the previous nights terrors. 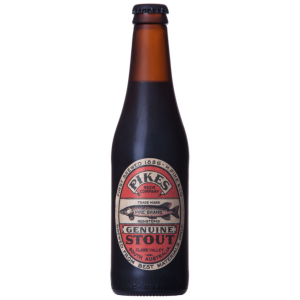 A single batch brewed each year, aged for 6 months in the brewery stores, and released in the dead of winter.. this rare creature is a Riverland Imperial Stout. With a depth blacker than a Riverland winters night, this stout is a beast to be reckoned with.